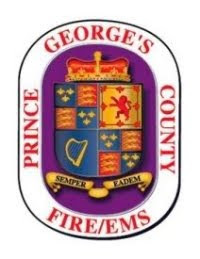 Prince George’s County Firefighters battled a fire in a carpet store this evening during a blizzard. At about 6:30 pm fire/EMS units were alerted to a commercial building fire at 4600 Silver Hill Road in Suitland. Units reported a 1-story, former gas station converted to a carpet store, with wind-driven heavy fire showing. Firefighters took a defensive position and battled the fire from the exterior. Within a short period of time a partial collapse of the structure occurred. The store was not open today. The bulk of the fire was extinguished in about 30 minutes. Hot spots continued to be extinguished for an extended period as entry into the structure was not possible due to instability of the structure. Despite upwards of 20 inches of fresh snow and high winds there were no reported injuries. The cause of the fire is under investigation and fire loss is still being tabulated.